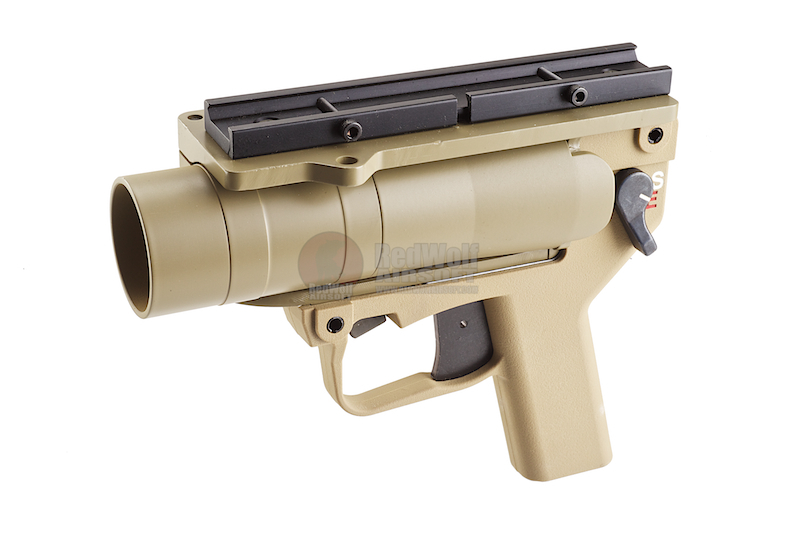 Madbull?s new AGX grenade launcher. 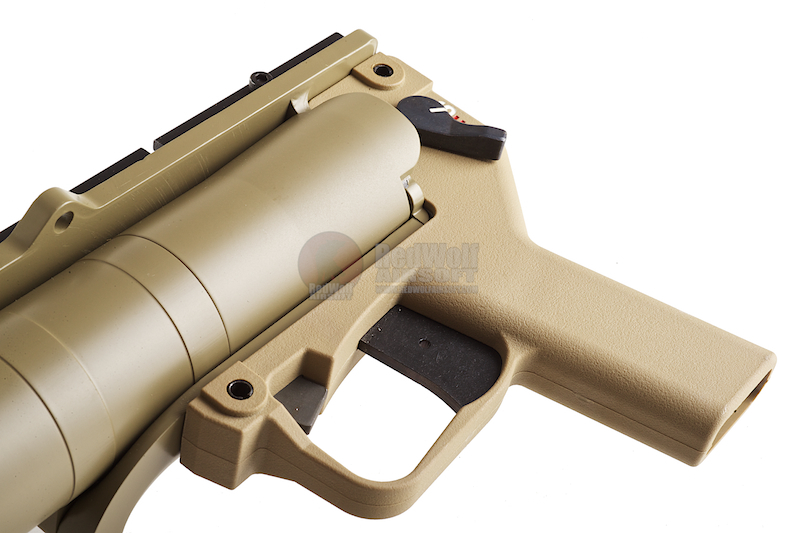 Designed for the US Law Enforcement usage, the new AGX-L is made from lighter materials and weighs almost half as much as the original version. 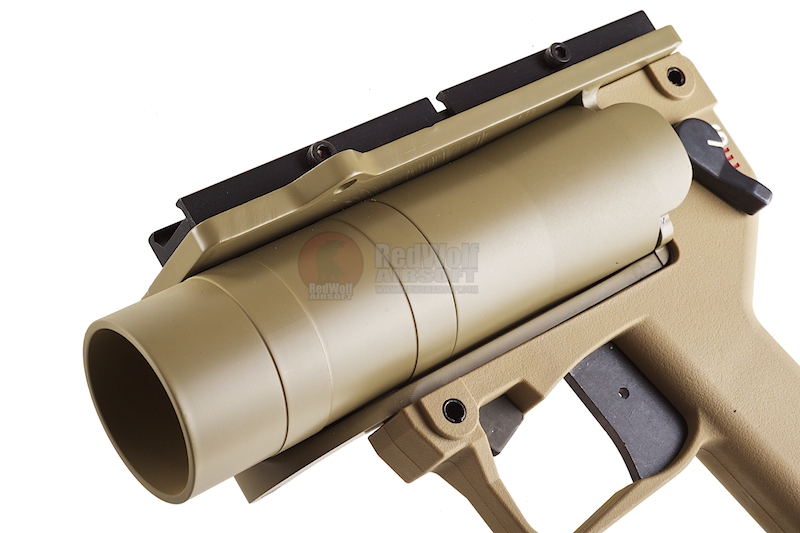 Designed as a pistol styled launcher, it can be used either independently or mounted on to your gun. 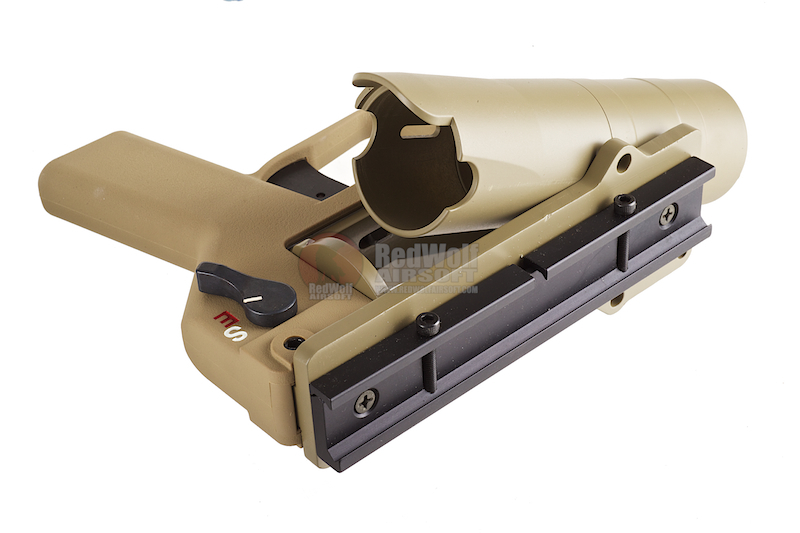 Based upon the AGC launcher, the AGX is for Airsoft and paintball use only, and cannot be modified to fire live ammo. 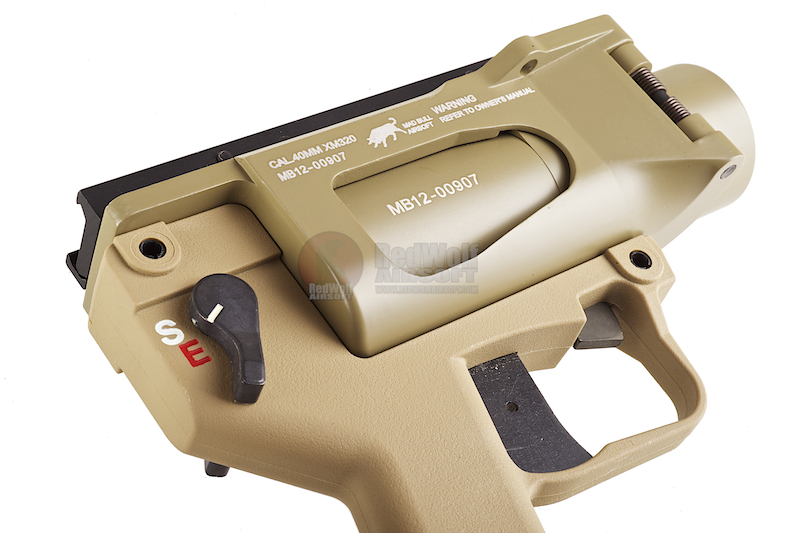 Disclaimer: This product is not manufactured by H&K and is manufactured by Madbulli of Taiwan. 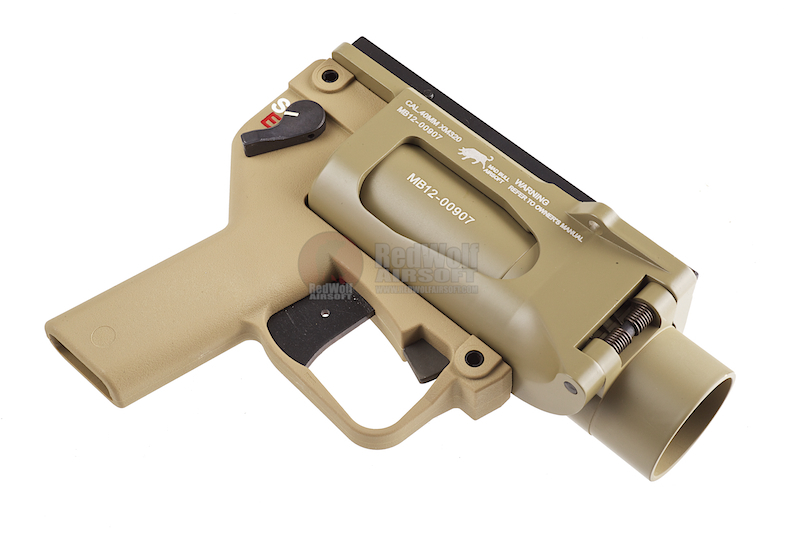 This product is a toy only and is not compatible with a real firearm.